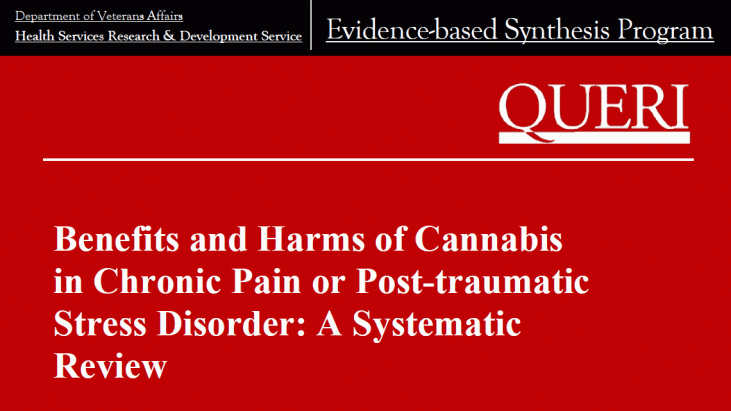 The objectives of this systematic review are to: 1) assess the physical and mental health outcome effects of cannabis in patients with chronic pain; 2) assess the physical and mental health outcome effects of cannabis in patients with PTSD; 3) assess the impact of short- and long-term cannabis use on the risk of adverse effects such as pulmonary diseases, cardiovascular diseases, cancer, cannabis use disorder (CUD), and psychosis in the general adult population; and 4) provide a broad overview of more recently recognized “emerging harms” of cannabis use. Overall, there is limited evidence examining the effects of cannabis on chronic pain. There are relatively few methodologically sound trials, and most trials had small sample sizes. There is low-strength evidence that cannabis-based treatments with precisely defined THC:CBD content (most in a 1:1 to 2:1 ratio) have the potential to improve pain, spasticity, and sleep in select populations with MS. 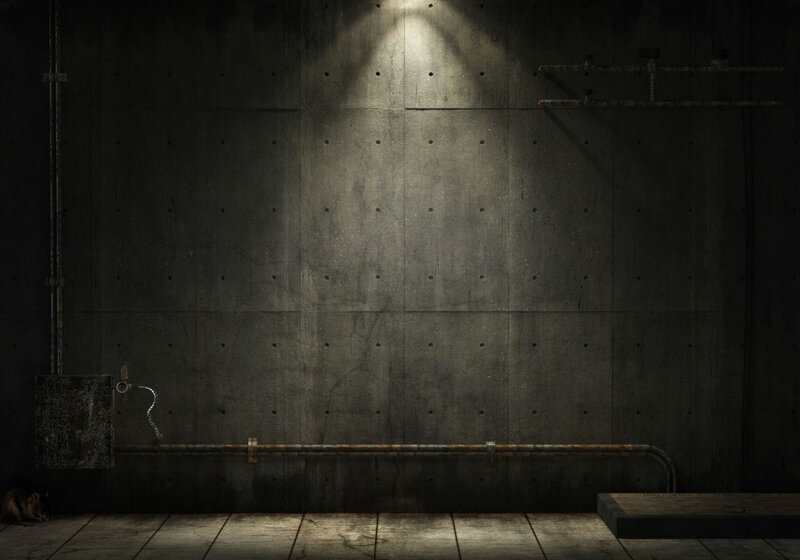 However, the results are inconsistent across studies, the long-term benefits and harms are unclear given the brief follow-up duration of most studies, and there is insufficient evidence of the effects on quality of life or functional status. Moreover, the applicability to current practice may be low in part because the formulations studied may not be reflective of what most patients are using, and because the consistency and accuracy of labeled content in dispensaries are uncertain. There is insufficient evidence to determine the effects of cannabis in populations other than MS.
Two recent systematic reviews examined the efficacy of cannabis and cannabinoids for the treatment of chronic pain,14,15 and reported mixed findings for the management of various chronic pain symptoms related to conditions such as MS, fibromyalgia, peripheral and central neuropathy, human immunodeficiency virus (HIV), rheumatoid arthritis, and cancer. cancer, rheumatoid arthritis, and musculoskeletal pain. While the prior reviews included the pharmaceutical, synthetic prescription medications dronabinol and nabilone, studies of these drugs did not contribute substantially to the body of evidence for chronic pain. There was only one small study with high risk of bias examining the effects of nabilone in chronic pain. We also searched the primary literature and found an additional 8 studies25-32 that met our inclusion criteria and were not included in the prior reviews. Those additional studies included patients with pain related to MS (4 studies) and mixed pain-related conditions (4 studies), but we found no additional studies of neuropathy.